As the 2018 Carolina League season rapidly approaches, the Potomac Nationals announced additions and promotions for the 2018 Front Office staff. The P-Nats ended a season-high six-game losing streak and sent the Keys into the playoffs off of a loss. Frederick ran away with a game one rout of Potomac 10-4, and held on in a tight 2-0 battle in game two. A night after playoff contention elimination, the Potomac Nationals (62-75, 29-39) fell in walk-off fashion for the ninth time in 2017. The Potomac Nationals (62-71) won the final regular season home game at Pfitzner Stadium in 2017 with a 4-1 win over the Frederick Keys (62-70). For the second consecutive night, the Potomac Nationals (61-71) split a doubleheader with the Frederick Keys (62-69). The Potomac Nationals (59-69, 26-32) were swept by the Salem Red Sox (71-58, 31-29) courtesy of a second straight walk-off. For the second straight night, the Potomac Nationals (59-68, 26-31) fell in a one-run matchup to the Salem Red Sox (70-58, 30-29). RHP Joan Baez (W, 3-8) pitched the Potomac Nationals (59-66, 26-29) to a 2-1 win over the Winston-Salem Dash. The Potomac Nationals walked off with an 8-7 victory over the Winston-Salem Dash (50-76, 26-30). The Dash scored in six of their nine trips to the plate in route to a season-high 14 runs in a 14-6 victory over Potomac. 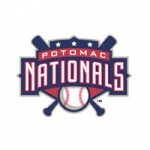 For the first time since May 3rd, the Potomac Nationals (57-65, 24-28) earned a 1-0 shutout victory. The Potomac Nationals (56-65, 23-28) fell 8-4 in 10 innings to the Salem Red Sox (68-53, 28-25). Dominant performances on the mound from a trio of pitchers led the Potomac Nationals (56-64, 23-27) to a 5-1 win over the Salem Red Sox. The Potomac Nationals (55-64) used an eighth inning rally to defeat the Salem Red Sox (67-53) 3-2 on Monday night at Pfitzner Stadium. The Washington Nationals have assigned RHP Stephen Strasburg to the Potomac Nationals, where he will begin a rehabilitation assignment. Despite an early 2-0 lead, the Potomac Nationals (53-63, 20-26) fell in the series opener 4-2 to the Frederick Keys (54-61, 23-23) Friday night at Nymeo Field. The Potomac Nationals (52-62) defeated the Myrtle Beach Pelicans (59-56) 3-1 on Wednesday night from Pfitzner Stadium. The Potomac Nationals (18-25, 51-61) picked up a 7-2 victory over the Myrtle Beach Pelicans (16-28, 59-55) Tuesday night at Pfitzner Stadium. Potomac got shut out 6-0 by Winston-Salem on Saturday night at BB&T Ballpark. The Winston-Salem Dash (21-20, 45-66) ran away with a victory over the Potomac Nationals (16-24, 49-61). The Winston-Salem Dash scored in six of their eight offensive innings, as the Potomac Nationals dropped the series opener 9-2. The Potomac Nationals (47-58) used its third walk-off of the season to sweep a doubleheader against the Myrtle Beach Pelicans (56-50) on Sunday. 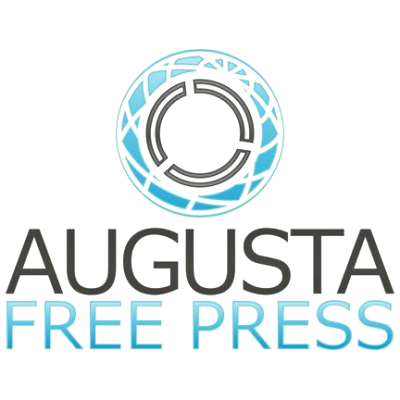 The Potomac Nationals (45-58) could not complete a five-run comeback against the Myrtle Beach Pelicans (56-48) and lost 5-4 on Saturday night. The Potomac Nationals (41-53) used two three-run frames to defeat the Wilmington Blue Rocks (53-43) 7-3. The Potomac Nationals (40-53) could not overcome a four-run Wilmington Blue Rocks (53-42) first inning and lost 6-4 on Monday. The Potomac Nationals dropped the first game of a three-game series with a 2-1, 11-inning loss to the Wilmington Blue Rocks. A run in the first inning snapped a 31-inning scoreless drought in Potomac’s 3-2 win over the Salem Red Sox. In a repeat of the previous two nights, the Salem Red Sox (54-37, 14-8) shut out the Potomac Nationals (39-51, 6-14). For the second consecutive night, the Salem Red Sox (53-37, 13-8) kept the Potomac Nationals (39-50, 6-13) off the scoreboard. The Potomac Nationals (39-49, 6-12) managed just four hits in a 6-0 shutout loss to the Salem Red Sox (52-37, 12-8) Wednesday night. The Potomac Nationals (39-48) dropped the final game of a four-game series with the Wilmington Blue Rocks (48-41) with a 7-3 loss on Monday. For the second time in three days, the Wilmington Blue Rocks (47-41, 8-10) held the Potomac Nationals (39-47, 6-10) to just one run. The Potomac Nationals (39-46) used a spectacular start from LHP Grant Borne (W, 4-3) to beat the Wilmington Blue Rocks (46-41) on Saturday night.